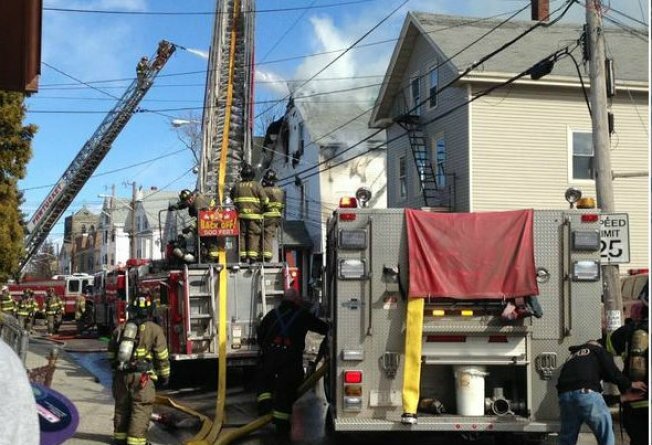 A fire has heavily damaged a two-family home in Central Falls, Rhode Island. The blaze broke out Wednesday afternoon at 388 Central St. The roof of the structure caved in. Stay with necn and necn.com as more details become available.